If you're a too busy to read the whole article, then I'd go for the Schwalbe Marathon Supreme's. Their price is a little steep, but the quality, light weight, and durability are well worth it. First, let’s agree on what touring means. We’re not talking about commuting, racing, or even a thirty-mile fitness ride. 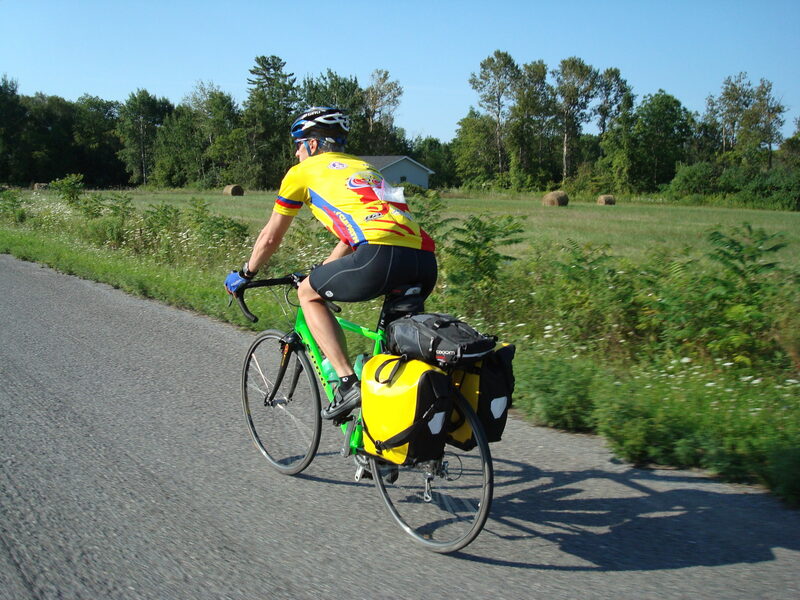 Most often, bicycle tours span days, weeks, or months. You may travel across a city or across an entire country, often turning your bike into a self-contained transport for your food, tools, and other gear. That kind of cycling demands a specific kind of tire, just as road-racing or trail riding demand their own kinds of tires. In this article, we’ll present our top three choices for touring bike tires. Take a look and see if one of these selections is for you. Continental is a German automotive company specializing in tires. In fact, they have their fingers in several divisions of manufacturing and have been producing their own line of bicycle tires for over a hundred years. Continental’s GatorSkin tires are virtually puncture-proof, thanks to two innovations. The first, PolyX Breaker, is an automotive technology adapted for bike tires. It’s a layer of tightly-woven polyester fiber that grants superb puncture protection without adding rolling resistance to the tire. 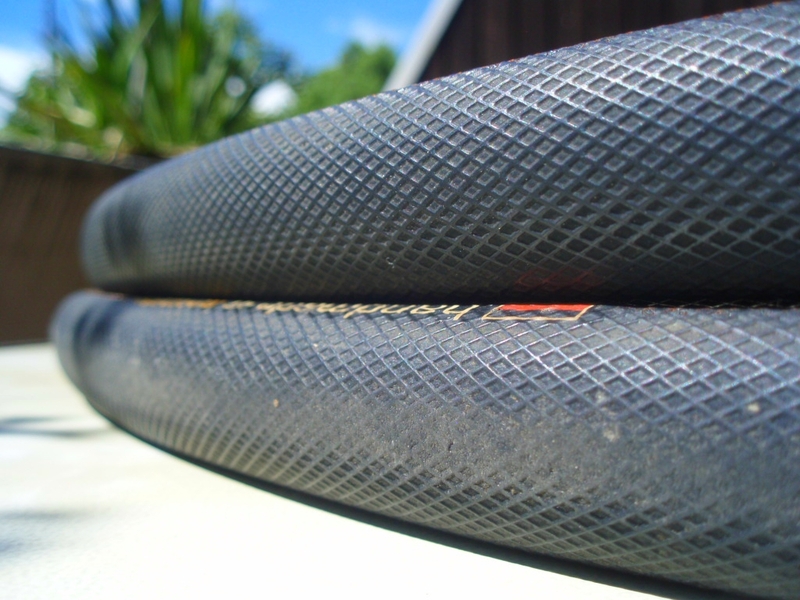 The second, DuraSkin, is a special sidewall protection, and also does not affect weight or ride quality. 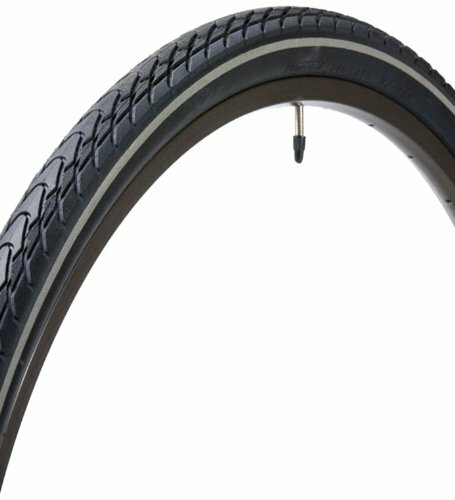 I personally cycled over 2000 miles on a set of GatorSkin DuraSkin tires without a single flat.​ However, there are other great touring tires by them like these ones. I haven't tried them, but Amazon reviewers highly rate them. 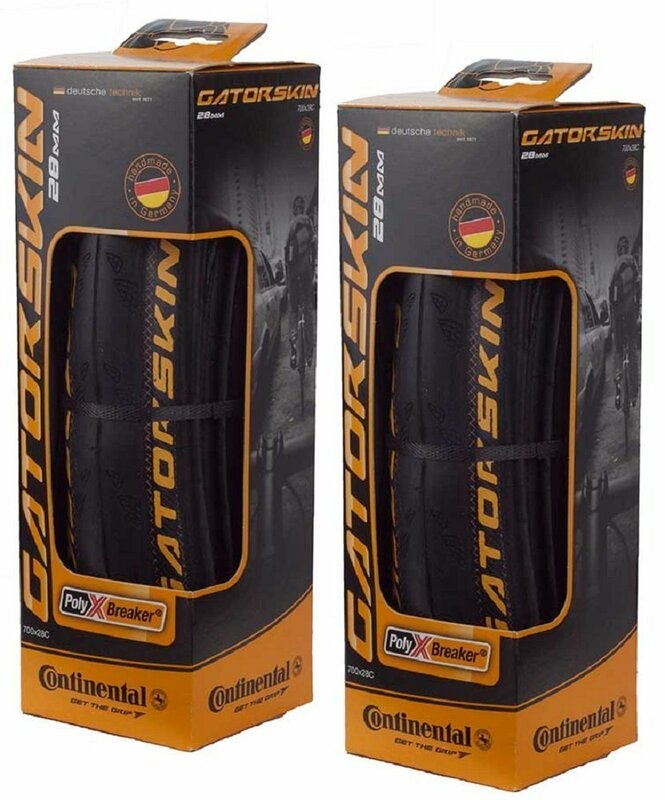 Many users claim you can’t find a more reliable tire than Continental’s GatorSkin. They have a heavy-duty feel without too much of a weight or resistance penalty. Some cyclists note that these tires are difficult to get on and off the rim, perhaps because of their reinforced linings. It’s also worth noting that “puncture-proof” is a bit of a misnomer. If you hit a piece of glass or a bent nail just right, it’s still possible to get a flat. But you’ll get a lot fewer flats with these than with regular tires. 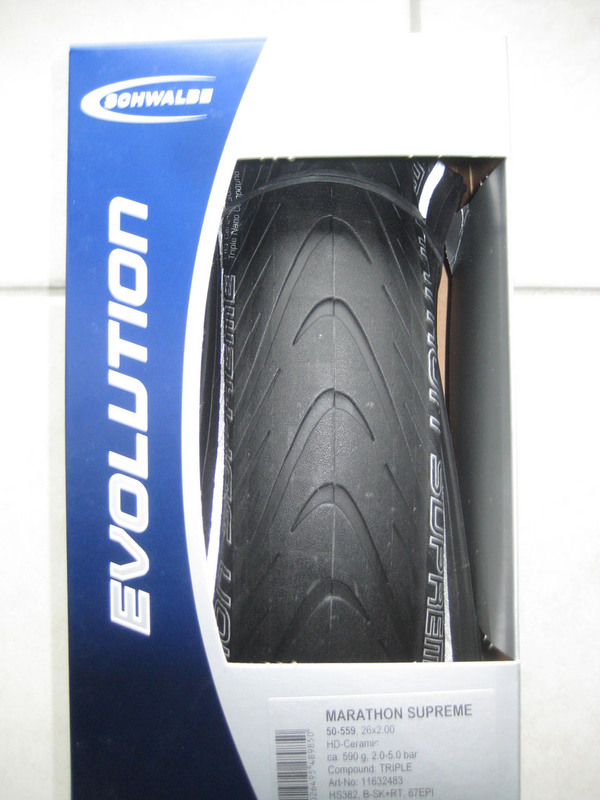 Schwalbe are self-described “tire fanatics” and are even the market leader in Europe. Like Continental, their headquarters are in Germany, but they have distributors worldwide. Schwalbe boasts that their tires are only available in “specialist shops,” but fortunately, this is the 21st century, and anyone can easily purchase them online. The Schwalbe Marathon Supreme is a folding tire. Unlike clincher tires, which have wire bundles at the edges, folding tires have bundles of Kevlar strands, making them both light and puncture-resistant. For extra protection, the tires use Schwalbe’s V-Guard technology, a lightweight and cut-resistant fabric that makes flat tires even less likely. The Schwalbe Marathon Supreme is available in 700 x 35 mm size. Although the puncture-resistance is a big selling point on these tires, many customers are praising their light weight, which confers a little extra speed. They also provide excellent grip, even in wet conditions, and a number of users have applauded the reflective sidewalls. One cyclist warned that the tread tends to wear out pretty quickly, but this could vary quite a bit depending on a number of factors, including your mileage, weight, tire pressure, and load. Panaracer has been producing tires for all kinds of cycling for over fifty years. Developed and manufactured almost exclusively in Japan, Panaracer tires are designed to deliver unparalleled performance and safety. Panaracer’s Tour Guard Plus is a tough urban tire that also works great for touring. It features bead-to-bead nylon puncture protection as well as a durable 5 mm rubber casing for additional protection from flats. The tread pattern is touted as all-season, and you’ll find that it handles particularly well in wet weather conditions. The Tour Guard Plus is offered with or without reflective sidewalls for nighttime visibility. With the extra layer of puncture protection, they can be difficult to install and remove. The Tour Guard Plus has the most aggressive tread pattern of any tire on our list, and users say they work well for commuting, touring, and hauling large loads. Their heavy-duty feel is a common refrain, and most cyclists who have put a decent number of miles on these tires have reported few, if any, flats. Should I be riding with touring tires? If you’re heading on a long bicycle trip—a day, a week, perhaps even a year—then yes, by all means, touring tires will serve you better than other types of tires. With just the right balance of weight, tread, and puncture-resistance, they’ll keep you rolling smoothly and efficiently with the least possible delays for flat repair. Naturally, if you’re a racing enthusiast or mountain biker, touring tires may not be for you. True, you can still eat up pavement at a decent clip on a touring tire, and you can even handle light off-road conditions such as packed gravel, but there are different types of tires that are better suited for those kinds of situations. Puncture resistance – At the risk of sounding like a broken record, puncture protection is a major selling point for most kinds of touring tires. Whether you’re trekking across town or across the country, you’ll spend more time rolling and less time repairing flats. All-around dependability – Touring tires aren’t optimal for all conditions, but they’re pretty good for most. With their middling size, weight, and tread, they’re like the cross-trainer sneakers of the bike tire world. Frankly, if you’re touring, then tour tires are your best bet. If you’re somehow turned off by the slight increase in weight and rolling resistance, you can switch to regular road tires or racing tires. You’ll gain a little speed, but you’ll sacrifice durability and load-bearing capacity. Fortunately, if you’re not touring at all, the alternatives are obvious: racing calls for racing tires; trail-riding calls for mountain tires. If you decide to go for road tires, you can add puncture resistance to them by buying ﻿﻿﻿thorn﻿ resistant tubes﻿﻿ or even something like slime. The type of tire you use depends on the kind of bike you have and the kind of riding you plan to do. A good touring tire is a balance of puncture resistance, weight, and handling. It should keep you rolling smoothly and efficiently on those long bike trips and be able to handle a decent amount of weight, because chances are your bike is going to be loaded with gear. Of the choices presented in this list, the Schwalbe Marathon's are probably the best bike tires for touring —the price tag is a little steep, but the quality, light weight, and durability are well worth it.